What could be worse than this, if the software that's meant to protect your devices leave backdoors open for hackers or turn into malware? 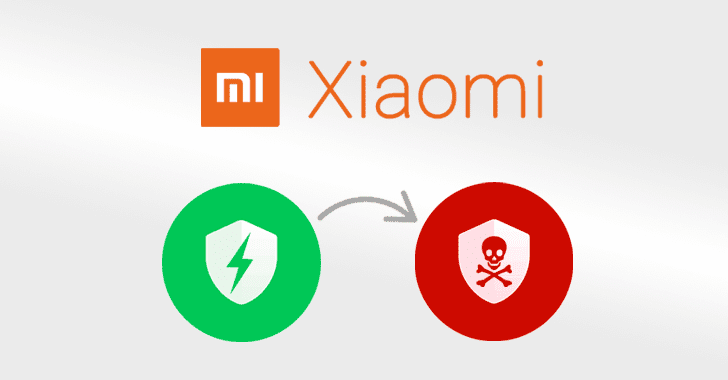 Researchers today revealed that a security app that comes pre-installed on more than 150 million devices manufactured by Xiaomi, China's biggest and world's 4th largest smartphone company, was suffering from multiple issues that could have allowed remote hackers to compromise Xiaomi smartphones. "The hidden disadvantages in using several SDKs within the same app lie in the fact that they all share the app context and permissions," the security firm says. "While minor bugs in each individual SDK can often be a standalone issue, when multiple SDKs are implemented within the same app it is likely that even more critical vulnerabilities will not be far off." It turns out that before receiving the latest patch, Guard Provider was downloading antivirus signature updates through an unsecured HTTP connection, allowing man-in-the-middle attackers sitting on open WiFi network to intercept your device's network connection and push malicious updates. "Once connected to the same Wi-Fi network as the victim – say, in public places i.e. at restaurants, coffee shops, or malls – the attacker would be able to gain access to the phone owner’s pictures, videos, and other sensitive data, or inject malware," CheckPoint told The Hacker News. "It is completely understandable that users would put their trust in smartphone manufacturers’ preinstalled apps, especially when those apps claim to protect the phone itself," the firm says.